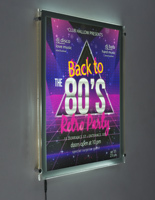 These 17x11 LED sign frames will illuminate custom graphics with an average of 3,000 lux. 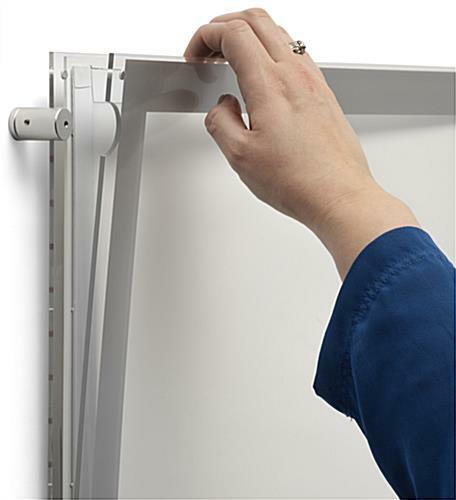 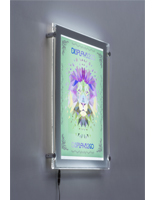 The displays feature a wall mount design and are affixed with four silver edge grip standoffs. 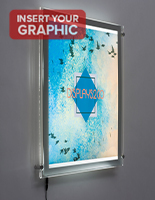 This type of LED sign frame features an acrylic cover that hold a custom image using strong button magnets. 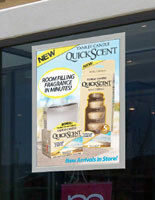 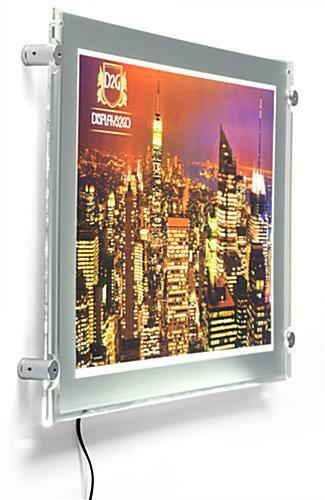 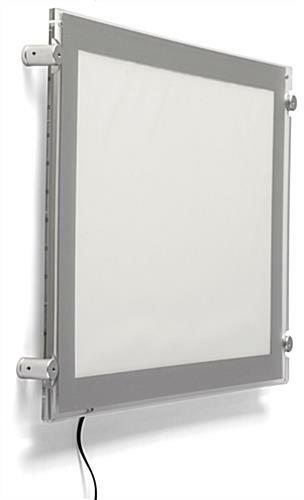 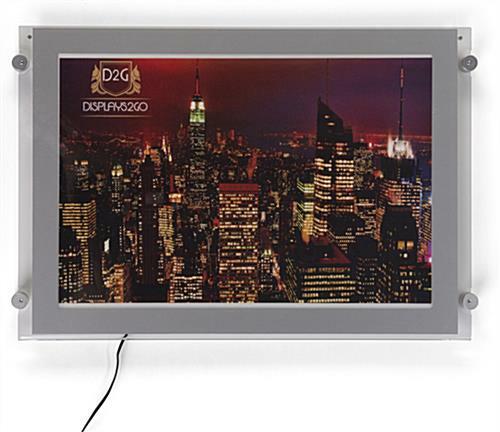 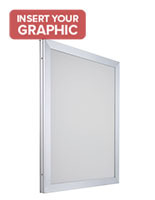 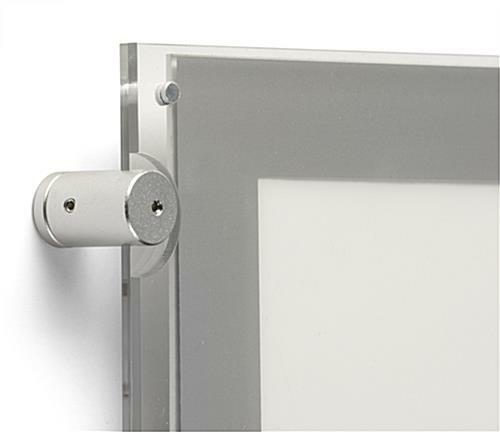 Each of the wall mounts have a sleek silver finish that will match any advertisement and promotional messaging. 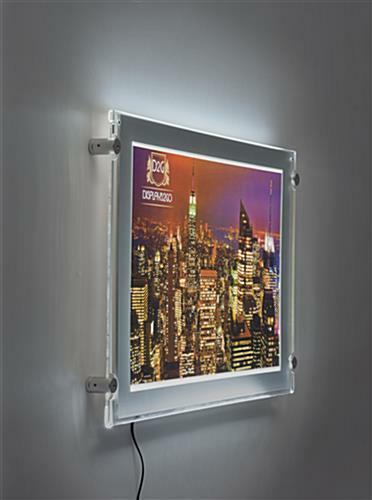 In addition, the sign frames utilize long-lasting bulbs that are more efficient than incandescent and CFL lights. 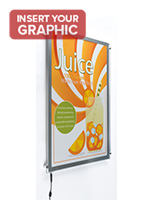 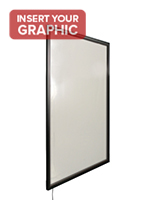 The displays are ideal for promoting menus, movie posters and other promotional artwork. 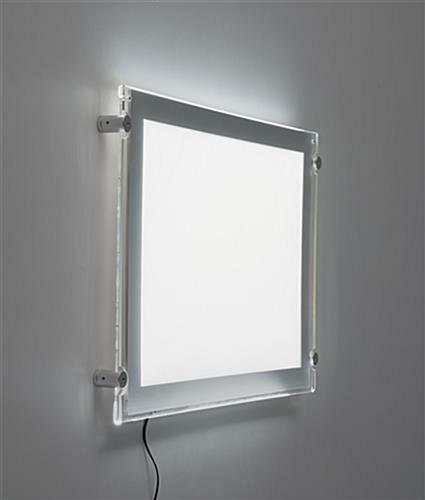 20.5" x 14.3" x 1.3"